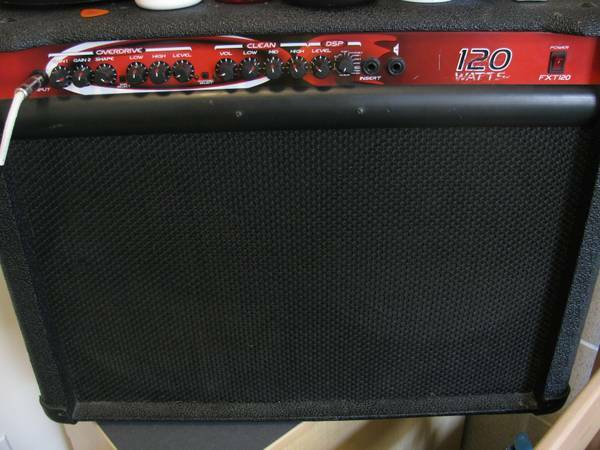 Crate fxt 120 watts, 2x12. built in effects and tuner. This thing rips Super loud The selectable effects are pretty cool. Great deal for$100. I just have no need for it.cash is king. Open to trades, tools or other musical stuff. 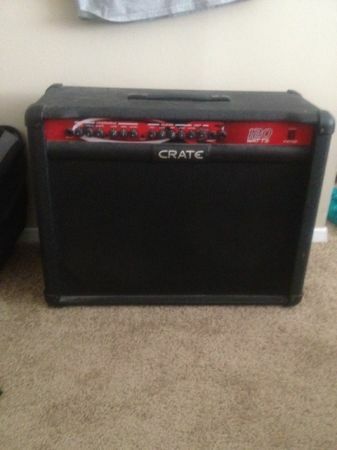 Crate fxt 120 watts, 2x12. built in effects and tuner. This thing rips Super loud The selectable effects are pretty cool. Great deal for$100. I just have no need for it. Open to trades of tools, or other musical stuff. bought both a little over a month ago Ive only played them 3 times. Both in perfect condition. Ibanez has active pickups, and the crate has a DSP with 16 different fx options. Crate 120 Watt Guitar Amplifier in Excellent Shape Stop by CLS Pawn in Kokomo or Call show contact infoand ask for Ryan for more details. This is a great that is pretty loud. It has a whole scroll of effects that is on the clean channel and then it also has a distortion channel. If you want to come check it out shoot me an email or call me at 24897440threeone.please bring guitar to play on .